Ever Wanted to Become a Dog Trainer? How does one become a dog trainer? Many young people (and older ones, too) are interested in careers relating to dogs, often dog training. This question usually stumps most people, including guidance or career counselors, and those who aren't fully committed to their dream will give up. My goal is to make your journey as simple and straightforward as possible. In North America, dog ownership has steadily been on the rise. According to the U.S. Humane Society, there are more than 65 million pet dogs in America, and these numbers aren't going down. However, the shelters are also struggling to keep up, as many dogs are given up due to behavioral problems. 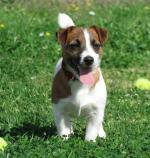 There is a definite need for committed certified dog trainers. If each and every one of those dogs was trained properly and treated like a dog, not a human trapped in fur, from the start, I guarantee that we wouldn't have as big of a problem on our hands as we do. So now that we've established that there is a need, I want to give those who are interested in pursuing a dog training career the information they need to become a dog trainer. Keep in mind - the information provided here pertains specifically to trainers in Ontario, Canada. It's somewhat unconventional. It's different. It's exciting. And as such, you may run into opposition if your dream is to be a dog trainer. I did. Read more about my story. But this is the problem... most simply don't care, or don't see the need to train a dog! Half of your job as a trainer will be to convince owners that their dog needs more than love for a happy, balanced life. They need your leadership. First, research. Then research some more. Find out all you can on the two different methods of training. Do you want to be a positive-only dog trainer, using treats to teach a dog what you want, or use a clicker? Or do you want to be a balanced trainer, using both positive reinforcement and negative correction? Read more about the dog training methods here. You need to decide this before going any further. Unfortunately, there is a lot of disagreement and misconceptions between the two methods. Once you know exactly what you want to be, you'll now have to decide which route you want to take. Generally, your two options are to apprentice under an experienced trainer from anywhere between two weeks to a year, or to first get a diploma or degree in college or university for animal behavior, care, or something similar. I am going to focus on the path that I personally took - that of an apprenticeship. I find this to be the most hands-on approach, and the best way to learn. Read more about how to get your dog training certification through this route. Again, in the end, it's your choice - so take your time on this step. Learning More: Many dog trainers like to supplement this hands on training with some college courses on canine behavior, care or psychology. You could also get a university degree in any of these areas if you like, but not needed. at another dog training school - a lot of times, you may be able to get a job at the school that you apprenticed at. You are already trained in their methods, and are ready to start teaching classes right away! If you choose to look elsewhere, you'll have to find a school that trains using the same techniques that you learned. at humane societies - you might have to take a pay cut to work here, but it can be very rewarding! You will be playing a significant role in making sure that dogs are more likely to be adopted and stay with their families forever. at shelters - same as the humane societies, shelters are working under a small budget and may not pay very much. But again, it is so rewarding to help these dogs and puppies get ready to go to a new home. kennels or boarding facilities - many kennels offer a "board and train" option for their customers. So while they are on vacation, their dog is getting trained! Keep in mind, while this sounds great for the dog's owner (no work on their part), it is not likely that they will reinforce at home what the dog has learned at the kennel. This can be frustrating for you as a trainer. 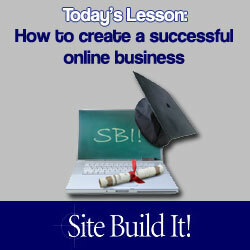 open your own school and build a related website! It's a good idea to continue attending workshops, seminars and other classes to stay up-to-date and to further your education. Don't ever stop learning! 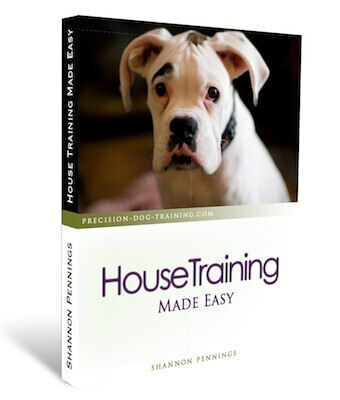 I hope I've been able to help guide you along the path to become a dog trainer. I know it can be daunting - remember, I've been there! Don't give up - if you want it badly enough, you'll find a way!